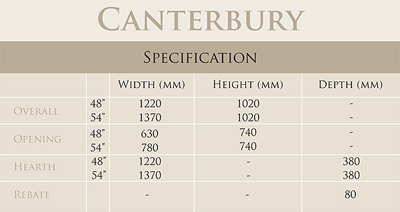 The Canterbury 48 or 54 is not available as a stock item, is a bespoke product and will have a 14 to 28 day lead time. A quality Limestone surround, handmade and unique in its individuality! 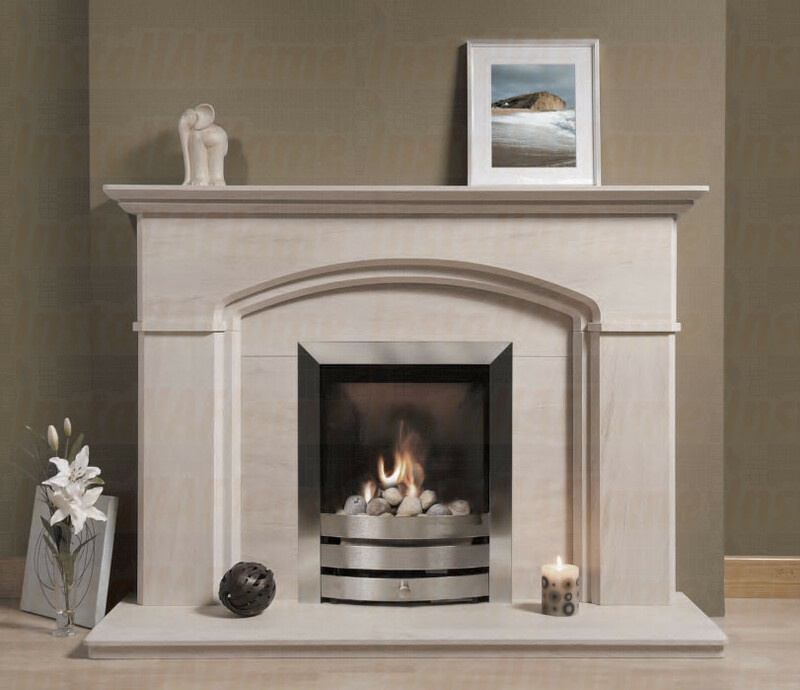 The Canterbury limestone fireplace is a stunning Quality fireplace and gives a truly elegant feel. 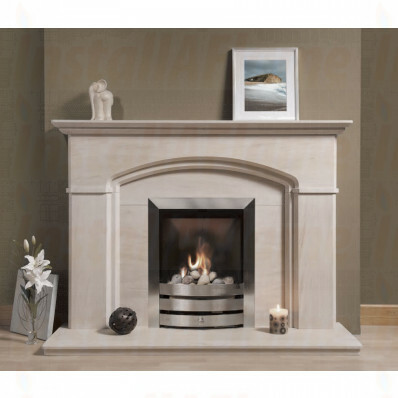 The suite is special order and tailor made to suit, available in 48" and 54" and comes complete with a matching back panel and hearth and is suitable for most gas or electric fires (Fire not include in price).